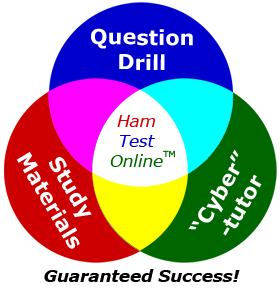 Online courses for the U.S. ham radio license exams. Integrates study materials with question drill, using the actual exam questions and answers. Tracks your progress and focuses on your weak areas, drilling questions you get wrong more often than ones you get right. It's a powerful combination. Just ask our students! 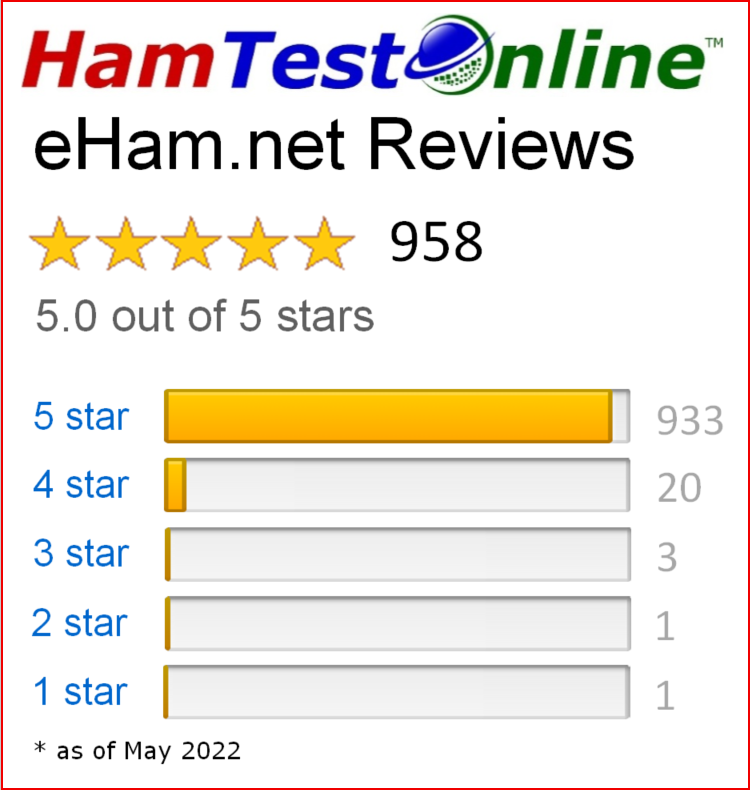 Top-rated on eHam.net — 97% of reviewers give us 5 stars! We have more 5-star user reviews than all other study methods combined! Try for yourself — the first 50 questions are free. Success guaranteed — if you fail the amateur radio license exam, we refund your subscription. 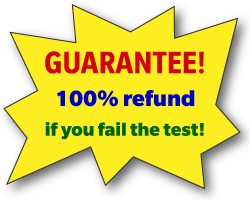 It's a no-brainer — you pass the exam or get a full refund! 10 study hours for the Technician class (entry-level) license exam. 20 study hours for the General class license exam. 30 study hours for the Extra class license exam. We cost about the same as the ham radio license manuals, and we provide a lot more value. A 6-month subscription to the Technician course is currently on sale for $24.95 (regularly $29.95). See price list for other courses. Better than amateur radio license manuals. Books don't know Jack. Or Sue, or Fred, or you. This is the software that knows you™. Which ham radio license exam should I take? Hundreds of happy hams say it best! Note: In 2007 the FCC eliminated the Morse code examination requirement for all classes of amateur radio licenses. Of course, while there are no more Morse code exams, lots of ham radio operators still use Morse code, and you're free to join in. Read reviews on eHam of various Morse code tutoring software (including some excellent free ones). Once you've learned Morse code, a great way to improve your speed is to practice by contacting other new hams. There's always a few amateur radio operators calling a slow CQ in the Novice segments (now open to all Technician class hams! ), and they're as eager to practice as you are. We say it doesn't matter how fast you copied Morse code when you took your amateur radio exams — what matters is how often you use Morse code today.